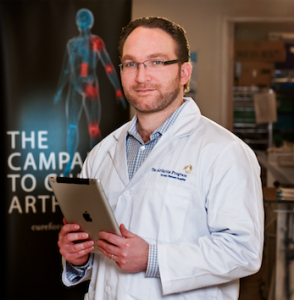 Dr. Christian Veillette is an Assistant Professor in the Division of Orthopaedic Surgery, Department of Surgery, University of Toronto. He is a staff surgeon for shoulder and elbow reconstructive surgery at Toronto Western Hospital and University Health Network, and the University of Toronto Sports Medicine Program at Women’s College Hospital. As an accomplished and internationally respected orthopaedic surgeon with extensive shoulder and elbow specialty experience, Dr. Veillette currently serves as a medical consultant for the WSIB Hand and Upper Extremity Specialty Clinic and WSIB Surgical Program at UHN Altum Health. Prior to this he was a medical consultant for the regional WSIB Shoulder and Elbow Clinic at Holland Center. Dr. Veillette is a nationally and internationally recognized leader and innovator in minimally invasive shoulder and elbow surgery. His primary clinical interest is shoulder and elbow reconstructive surgery, especially the use of arthroscopic techniques for the management of rotator cuff tears, tendinopathies, osteoarthritis, fractures, and post-traumatic contractures. He is well recognized for the use of continuous passive motion to speed recovery after complex elbow arthroscopy for stiff elbows. Dr. Veillette has won many academic and research honours and awards. He is a recognized leader in orthopaedic informatics being awarded the Canadian Orthopaedic Association Award of Merit for leadership and innovation in orthopaedic informatics, technology and communications. He received the “Edit This” Award for the most innovative and best use of the Confluence enterprise wiki platform. He was previously the Deputy Editor, Information and Communication Technology for Clinical Orthopaedics and Related Research. He is Co-Founder of OrthopaedicsOne (www.orthopaedicsone.com), a collaborative orthopaedic knowledge network developed using wiki technologies. In addition, he is Co-Founder and Managing Editor for Orthogate (www.orthogate.org), and Co-Founder and Director of Technology for Orthopaedic Web Links (www.orthopaedicweblinks.com). In total these websites are used by over 2.5 million visitors each year and are viewed over 5.5 million times providing high quality educational resource to both patients and professionals with orthopaedic conditions. Dr. Veillette’s research focuses on on the development of novel uses of information technology and computer science to improve healthcare, research and education including synoptic reporting and advanced clinical documentation in Electronic Health Records (EHR), biomedical knowledge representation, Internet applications in healthcare, consumer informatics and the use of information technology to support outcome and translational research. Dr. Veillette is the Director of the Electronic Data Capture Program within the Techna Institute for the Advancement of Technology For Health. His team has developed the DADOS Platform, an open-source web-based application for electronic data capture in clinical and translational research. The DADOS Platform has been successfully deployed within the Arthritis Program and several different clinical and research programs across UHN and within Ontario and is ideally suited for providing a comprehensive platform for data integration and business analytics of the proposed micro-healthcare system network.